In the field of the pneumatic measurement products and systems, PFL works in full synergy and partnership with the sister company PRETEC. PFL has been manufacturing and supplying air gages for more than 40 years and this long experience is the insurance that you get the optimal solution in term of applicability and suitability All the units and systems shown here will be supplied under the PFL Swiss brand name. 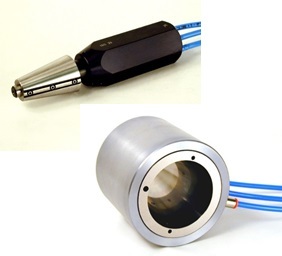 The converter is an essential measuring element in the air gaging systems. It simply gives the output results through analog or digital indication. Analog results are given by highly accurate dial indicator while digital ones are given by digital indicators or by electronic measurement probes combined with displays units from PRETEC. 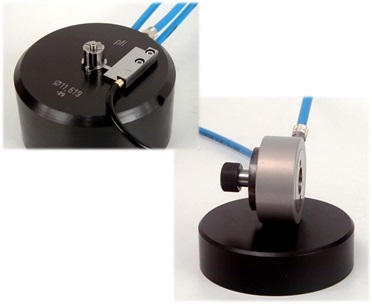 Repeatability can be inferior to 0,2 µ. The air gaging can control cones with high accuracy and repeatability, and this even on the machine tool during machining process. Conicity, straightness and the volume of the cone can be precisely inspected. ISO, BT, HSK, Big Plus are standards we familiar with for conical plugs and rings. 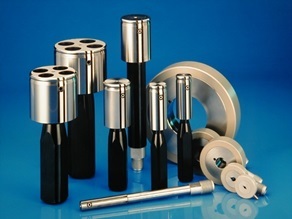 The pneumatic measurement systems are operating on comparative measuring basis. Therefore, masters and certificates are a must. We analyze your application and propose the appropriate masters. Two master are usually necessary taking into consideration tolerances for the minimum and maximum dimensions. Our main activities in the field of pneumatic measurement are for automotive, aerospace, machine tools and medical industries. These industries express specific needs not covered by our standard product range. This has led us to develop over years a range of solutions that are specific to best suit their requirements. How to order or to ask for quotation? To make sure that you get the right air gauge unit, your requirements must be exactly stated based on the information given below. Air plugs and air rings and masters are designed and supplied according to your air gauging application and specification. So, please submit a drawing or provide a comprehensive description of the workpiece to be measured. What is the form of the element to be measured? Bore, shaft, etc? What is the length of the bore or the shaft? Where on the element, the measurement must be made? Is the element to be measured is blind or through bore`? Do you need an analog indicating unit or digital indicating unit? Do you need the measuring results to be used with SPC software or PLC, etc? Air gauges require the use of at least 2 setting standards. This is valid for both plug and ring gauges. For exact size of each standard, we usually recommend to state the nominal size, the lower and upper limits of size of the workpiece. They are available upon request. Our pneumatic experts are here to help you and to insure that your requirement is fully understood to deliver solutions at your entire satisfaction. Please contact us for further discussion, we will be honored to serve you. Want to know more about pneumatic measurement and applications? Please call us!